Award-winning services. Reliable performance is what we promise our customers everytime. - guaranteed! Welcome to our website. We have created this site to tell you more about our company and our philosophy. Duluth Cleaning Contractors have been providing janitorial services for the past 32 years. Since we began our business, the goal has always been of being better than our competitors by providing the best services along with being actively involved with the buildings that we clean. While we work in several locations, we are currently looking for more customers in the Duluth, Superior, Cloquet and Grand Rapids areas. Call or text us at 218 724-4321. With our internal software program, we are notified when our staff arrives and departs your facility. Great service is what you expect, and it is what we provide. 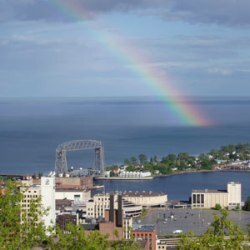 We provide service to our customers in Duluth, Superior, Cloquet, Two Harbors, Hibbing, Virginia, Grand Rapids, Deer River and Biwabik. One of the most valuable assets of our company is our employees. We work hard at retaining quality employees, the longer an employee works for us the more valuable they are to the buildings that they clean because of their experience and years of service. Many of them have been with us for over a decade. 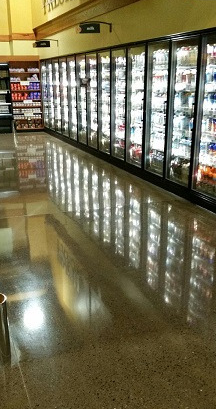 For the latest in polishing concrete, 3M has created products for us to complete cleaning your floors. The video below gives you a view of the process. The photo to the left shows you the finished product. Our clients love the results.